This chapter describes how to enable the SSO authentication for development purpose. SSO means Single Sign-On , several SSO protocols exist. We implemented the SAMLv2 protocol as it is a popular standard in the industry. Security Assertion Markup Language 2.0 (SAML 2.0) is a version of the SAML standard for exchanging authentication and authorization data between security domains. SAML 2.0 is an XML-based protocol that uses security tokens containing assertions to pass information about a principal (usually an end user) between a SAML authority, named an Identity Provider, and a SAML consumer, named a Service Provider. 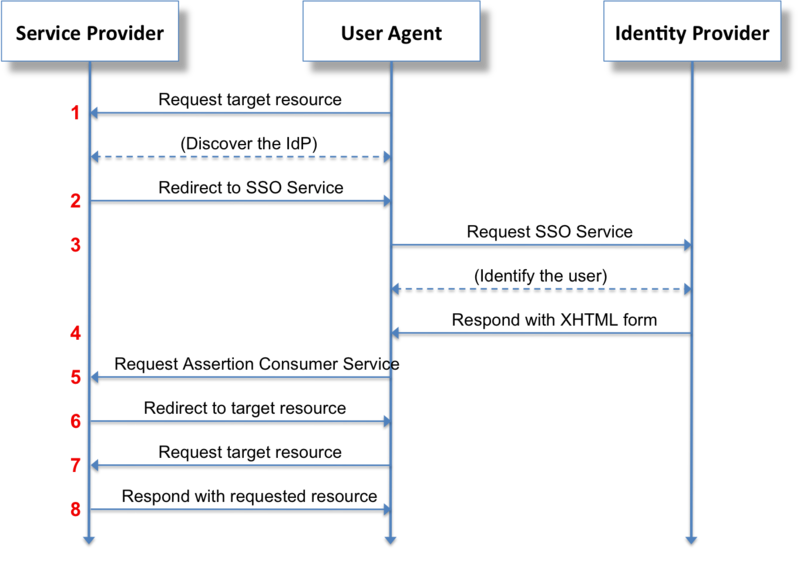 The Identity Provider offers user authentication as a service, and the Service Provider could be considered as a client that will ask to authenticate a user. The content exchanged between the IdP and the SP must be signed, that’s why we have to configure those entities with Certificates and Private keys. We provide an already configured IdP server image in the docker-compose.yml file, named sso-idp-server. The following information is here if you want to tweak something, if not, go directly to the Setting up the Service Provider (SP) section. This container will expose the 8081 port, you can override this value in the .env file. You can access the IdP administration page at the following url: http://localhost:8081/simplesaml. Some users are already configured, the same that are in the icecat_demo_dev fixtures. They are defined in the docker/sso_authsources.php. The configuration of the Service Provider is automatically provided by environment variables in the docker-compose.yml file line 58 (SIMPLESAMLPHP_SP_ENTITY_ID) of your standard archive. You can install an IdP server or use any SaaS service (Azure AD for example) that respect the SAMLv2 protocol. The configuration of the IdP depends on the solution you choose so you’ll have to refer to its documentation. Add the users you’ll want to be able to login into the pim (the user must exists in the pim). The attribute akeneo_uid will have to be sent in the Authentication response, and the value will have to match an existing pim user username attribute. You will have to retrieve the IdP certificate, it will be needed to configure the Service Provider on the Akeneo PIM side. Various errors can happen, those errors could be due to incorrect configuration on IdP side or SP side. You can also check these logs via CLI if your PIM installation is on premise or on PAAS. Regarding the IdP: * For the one provided in docker-compose.yml, you can check logs outputed by the container docker logs -f your_sso-idp-server_container-name * For custom configuration of the IdP, refer to the documentation.